From January 30 through February 10 2017, join me and the West African Research Association for an unforgettable culinary journey in Senegal, West Africa. This will be a hands-on experience--we'll be learning to prepare a number of signature West African dishes such as Ndole, Egussi, Yassa,and Thieboudienne, as well as gaining a new understanding of this part of the world. So mark your calendars for the first ten days of february 2017 and plan to come relax, enjoy the sunshine, and learn more about this important world region through its cuisine. At this year's Ultimo culinary extravaganza, Chef Pierre Thiam was asked by Thomas Keller to join a global team of chefs presenting dishes that will both represent their specialties and hint at their countries of origin, in a dinner whose theme is Le Grand Voyage. With Thiam representing Africa, the other chefs in this star lineup includes Keller representing the United States, Jérôme Bocuse for France, Paul Bartolotta for Italy, Vikram Vij for India, Emma Bengtsson for Sweden, Curtis Stone and Shaun Hergatt for Australia, and Ming Tsai for Asia. Dine Diaspora hosted an intimate dining experience in Washington, DC with world renowned chef, restaurateur and author, Chef Pierre Thiam. 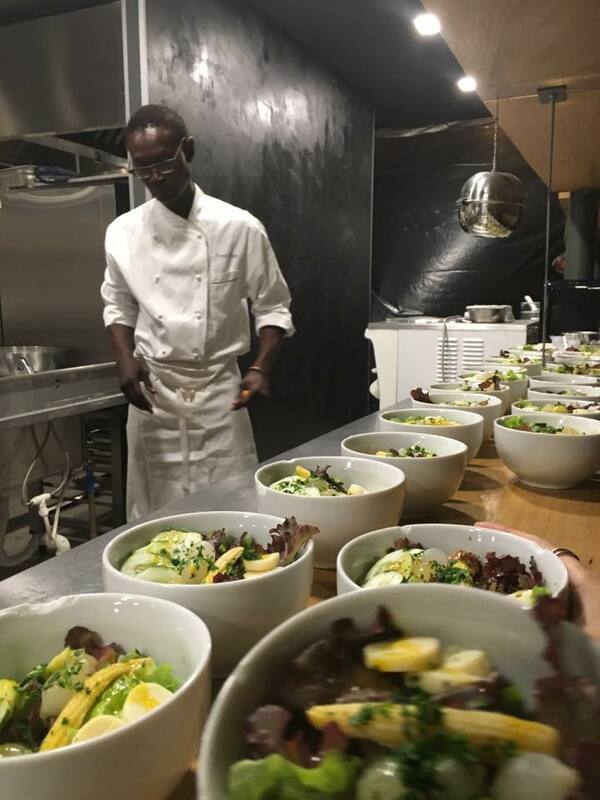 The globally celebrated chef led guests through a 5-course Senegalese-inspired menu that encapsulates his unique culinary story. 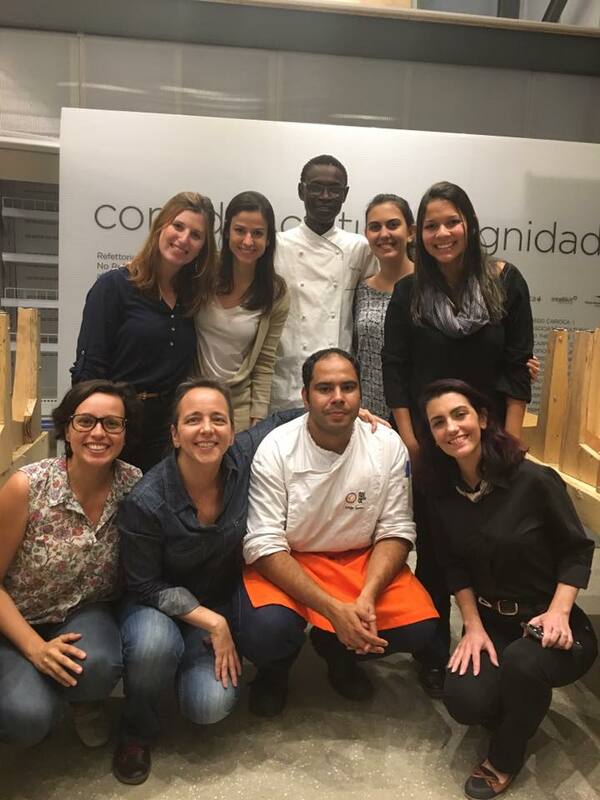 Chef Pierre Thiam was invited to Rio de Janiero as one of the celebrity chefs to turn wasted Olympics Food into meals for the homeless at Refettorio Gastromotiva, an initiative brought to Brazil by chefs Massimo Bottura (Food for Soul), David Hertz (Gastromotiva) and by the journalist Ale Forbes to contribute to fighting food waste, malnutrition and social exclusion. The creators of Refettorio Gastromotiva — refettorio means dining hall in Italian — hope it will change the way Brazilians, and the world, think about hunger, food waste and the nourishing of human dignity. New York, NY – On Wednesday, July 20, the James Beard Foundation’s Beard on Books, an ongoing monthly literary series, will host chef, restaurateur and author, Pierre Thiam as he discusses his new book, Senegal: Modern Senegalese Recipes from the Source to the Bowl. WHAT: Chef, restaurateur, and author Pierre Thiam has a passion for his homeland of Senegal, and is on a mission to introduce global audiences to the diverse and delicious cuisines of West Africa. In his latest cookbook, Senegal: Modern Senegalese Recipes from the Source to the Bowl, Thiam creates an edible travelogue that highlights the traditional and contemporary recipes from across the nation’s kitchens. Featuring insights and stories from the cooks and producers Thiam met over his journey, and vibrant dishes inspired by those encounters, Senegal presents a gastronomic glimpse into the country’s past, present, and future. DETAILS: Beard on Books, an ongoing monthly literary series featuring readings and discussions with some of the food world’s most celebrated authors, is free to students with a suggested donation of $20 for nonstudents. Acqua Panna and S.Pellegrino waters, Lavazza coffees, teas from Tea Forté and Valrhona Chocolate will be served. Refreshments provided by Sarabeth's. Guests are also welcome to bring a brown-bag lunch. To RSVP, please call James Beard Foundation House Marketing and Reservations Manager Colleen Vincent at 212.627.2308. Follow @BeardFoundation and @ChefPierreThiam to join the #BeardonBooks conversation on Twitter and Instagram. 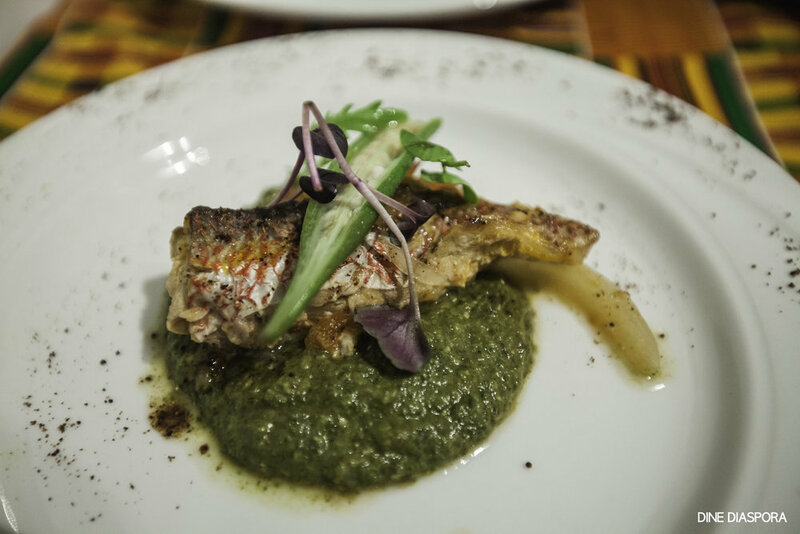 Chef Pierre Thiam was a guest chef in the second annual Harlem EatUp! Festival, a four-day festival put together by executive chef, restaurateur and Harlemite Marcus Samuelsson and veteran event marketer, Herb Karlitz. As part of its mission and dedication to Harlem, the Festival donated proceeds from ticket sales to Harlem Park to Park and Citymeals-on-Wheels. 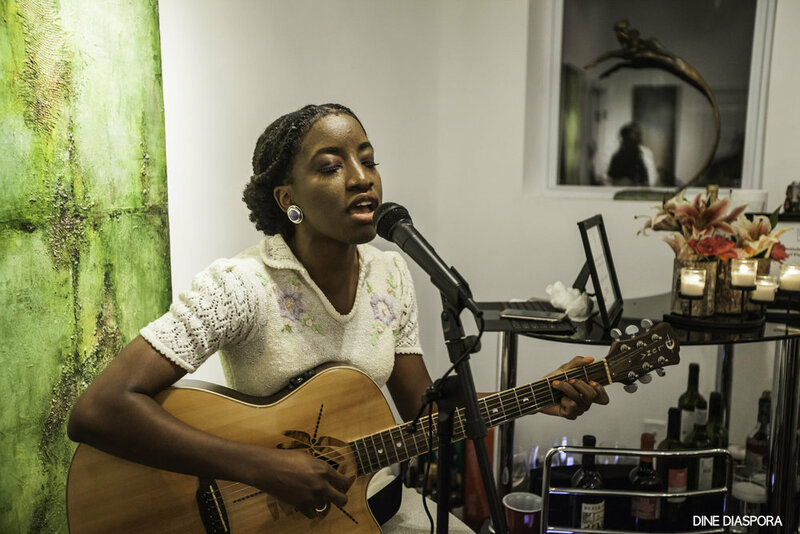 Respectively, both organizations continue to provide a positive and direct impact on the community through small business support and feeding Harlem’s homebound elderly. VIDEO: Chef Pierre Thiam being interviewed at Harlem Eat Up! Chef and restaurateur Pierre Thiam, author of the successful cookbook Senegal: Modern Senegalese Recipes from the Source to the Bowl, discusses the unique food culture of his native Senegal - as well as the influence of African practices and dishes on the development of American foodways - with Fabio Parasecoli, director of Food Studies Initiatives at The New School. Chef Pierre Thiam explains to the audience how traditional agricultural in Africa was altered by French colonial trade with Vietnam. Indigenous grains were replaced by sub-standard imported rice, but through decades of Africans embracing all foods and spices, "broken rice" later became the national dish of Senegal. Sponsored by the Food Studies Program and the Jazz and Contemporary Music Program in the College of Performing Arts at The New School. 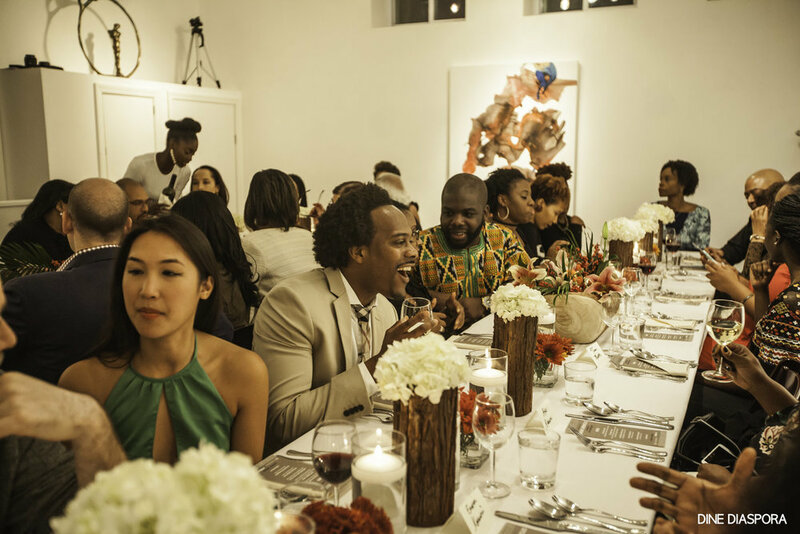 Now in its fourth installation after sold-out events in Toronto (2012 and 2014) and Paris (2013), Palattes of Africa is a unique culinary event spearheaded by fashion designer/curator, Chinedu Ukabam in collaboration with a rotating cast of burgeoning and established chefs and occasionally artists.